…A beautiful, timeless sound. Andy’s light, bright mandolin picking sets the lead…, (and) it’s hard to hold your seat as Andy and the boys beckon you to get up and dance. 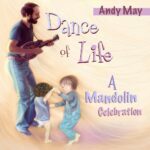 “Dance of Life” is a light, enjoyable frolic through traditional mandolin standards. 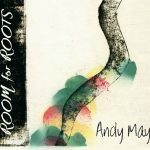 The musicianship is high, the original works strong and the [CD] is really a lot of fun.